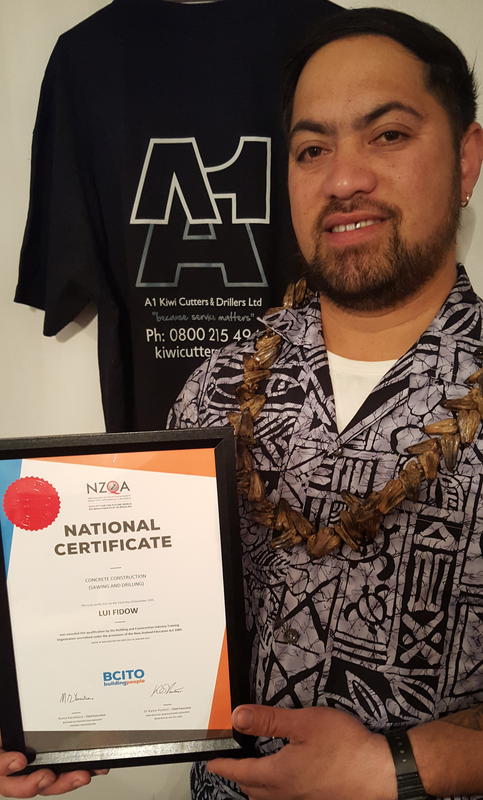 Lui joined the A1 Kiwi Cutters team in April 2014 and his favourite piece of equipment to date is his floor saw. However, with a wealth of experience ranging from expansion cutting, demolition cutting, drilling, floor grinding, block wall grinding, block and paver laying……the list goes on, Lui is your Man. In fact, the driving force behind becoming a concrete cutter was to become ‘The Man’! On a personal level, Lui is a true family man. He has many hobbies and interests, which include going to church, travelling (when he gets a day off) cooking with the family, playing Volley ball and listening to music.